Initially TRACECA (Transport Corridor Europe- the Caucasus-Asia) is aimed at developing a West-East transport corridor from Europe, across the Black Sea, through the South Caucasus and the Caspian Sea, built on the Trans-European Networks on the EU territory, the Pan European Transport Corridors in Europe, especially the Black Sea Pan European Transport Area and the New Silk Route to Asia. After the start-up phase covering 1993-1995, projects focused on making the physical corridor operational and on strengthening the Black Sea –Caspian link as well as the Central Asian. 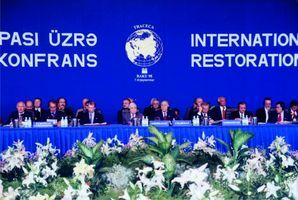 In September 1997 there was a welcome initiative by Presidents Aliyev of Azerbaijan and Shevardnadze of Georgia who jointly proposed to host a Presidential Conference in the Caucasus I 1998 that could lead to the signing of Basic Multilateral Agreement on Transport initiated within the TRACECA programme. The conference was attended by the Presidents of Azerbaijan, Bulgaria, Georgia, Kyrgyzstan, Moldova, Romania, Turkey, Ukraine and Uzbekistan, representatives of the European Commission, heads of governments and transport ministries and experts from 32 countries as well as representatives of 12 international organizations. The important achievement of the conference was the signing of the Basic Multilateral Agreement on International Transport for Development of the Corridor Europe-the Caucasus-Asia and its Technical Annexes on international railway and road transport, international maritime navigation, customs and documentation procedures. •	development of economic relations, trade and transport communication in Europe, the Black Sea region, the Caucasus, the Caspian Sea region and Central Asia. 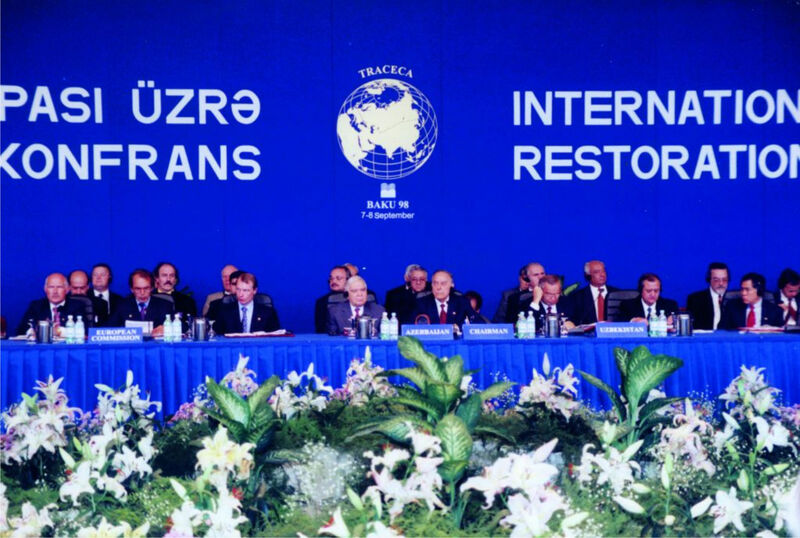 After the signing the Basic Multilateral Agreement in September, 1998. Baku, TRACECA programme became the programme of development cooperation in the field of transport along Europe-Caucasus-Asia Corridor.